There has been some feedback of the affordance ideas at Ed-Media 2007 conference from George Siemens and Terry Anderson. Thus i decided to write here the short abstract of what i believe the affordances are. – Representation/recognition, by which we identify and respond appropriately to familiar objects and situations. Besides the affordances related to the environment, Neisser’s interpretation introduces the interpersonal perception of subjects in action as an additional source of affordances in the social and regulative domain. Another type of affordances relates with learners‘ familiarity of perceiving certain aspects of the environment certain ways, which is culture-dependent. 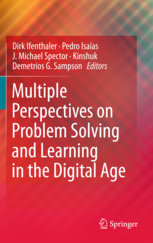 The mainstream view on affordances in educational technology settings considers them as objective properties of the tools, which are perceptable in the context of certain activities. Thus, it is commonly suggested that tools have concrete technological affordances for certain performances that can be brought into a learner’s perception with specific instructions (Norman, 1988; Gaver, 1996). This use of the concept tends to ignore its relativistic nature and observer-dependence, and seems to imply that affordances should be located in the environment or specific artefacts or tools. Kirschner (2002), for example, defines pedagogical affordances as those characteristics of an artefact that determine if and how a particular learning behavior could possibly be enacted within a given context. 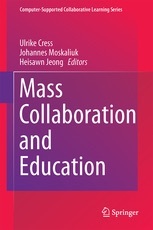 Kreijns, Kirschner, and Jochems (2002) have defined social affordances as the “properties” of a collaborative learning environment that act as social-contextual facilitators relevant for the learner’s social interaction. However, i do not follow this positivist understanding of affordances as part of learning environment. From an interaction-centred view (Vyas et al., 2007) affordances are the perceived possibilities for both thinking and doing, what learners perceive and signify during their actual interaction with an artefact or tool. While interacting with an artefact or tool, learners continuously interpret the situation, and construct or re-construct meanings. Thus, instead of relating affordances objectively with software applications or other complex tools and artefacts, they should rather be related to the Activity System, where learners must realize how they perform joint actions with artefacts and tools in order to accomplish their shared objectives. Affordances emerge and potentially become observable in actions what people undertake to realize shared objectives. Grounding on objectives and tools for particular actions brings along the development of certain implicit or explicit rules for effective action in particular settings. These rules constrain how tools could be used in specific actions. In educational settings, constraints in using the tools in a particular way also arise from the perception of predetermined tasks, objectives and artefacts that are meant to guide and contextualise the learning process. Activities within an Activity System are also constrained by the technical functionalities of tools and services, and the artefacts conveying meanings in a specific domain context. Actors must develop a compatible understanding of the affordances of a given setting to make effective performance possible within an Activity System. This is true both for the facilitator and learners who want to collaborate. The similar application of the tools, functioning rule-system and distribution of labour that support the realisation of certain objectives in the Learning Environment are realised upon the commonly perceived affordances. Facilitator cannot predefine but only anticipate the affordances of Learning Environment. The Learning Environment cannot be ready when learning starts but has to evolve in the process. Cook and Brown (1999) and Vyas et al. (2007) assume that affordances should be conceptualized as a dynamic concept. In an ongoing interaction with tools, artefacts, and other actors, we are not only affected by the dynamic situational changes but also by our previous experiences. Thus, our personal dispositions strongly influence what affordances we actually perceive in a given situation at a certain point in time. This dynamic understanding of the affordance concept appears to be entirely compatible with the ideas of Engeström et al. (1999), who described the dynamic nature of interactions between the components of the Activity Systems. The dynamic changes in the perception of Learning Environment must be considered as part of the design model: iterative cycles of grounding and regulation with conversational actions among the learners and the facilitator about the state of art of the Learning Environment as the Distributed Activity System, and the development of these competences would become increasingly important. Hi Kai – I appreciate your thoughtful comments. They reflect the notions you presented when we chatted earlier this week – namely that an affordance is emergent based on context of use. The notion of affordances extends beyond one definition (or, more accurately, can be perceived from multiple ends). For example, you tackle affordances as emergent properties. I see affordances as comprising (at minimum): the tool itself, the use of the tool, and the varying context/tradeoffs/limiting factors. For example, a hammer has certain affordances in itself. It works particularly well for carpentry. That is what it has been designed to be used. This is not an emergent aspect of the hammer. But when I take the hammer and use it for other purposes – killing a fly if my reflexes are good or attaching a person – then I have created a tool-based affordances that is drawn from my environment and my own needs at a point in time. It doesn’t diminish the inherent strength of a tool, but it does extend affordances beyond what the original tool creator intended. The third aspect of affordances – and you’ve detailed this in your diagram – is one of balancing and choosing on the part of the user’s environment. Regardless of a) the inherent affordance of a tool, and b) end user extension of a tool…I can also c) use the tool based not solely on volition but on what’s available to me or what’s required in a particular situation. Quick example: in a classroom, I may only have access to blogs for teaching – not video, audio, etc. Blogs work well for text-based communication (you can throw in some images as well) (that’s inherent affordance). As the educator, I can extend blog use by combining it with inclass discussion, personal reflection, or whatever else I can think of (that’s user-created affordance). And finally, the constraints imposed by my environment (school board, network security, my particular needs at the moment) determines what I’m actually able to do (that’s contextual affordance). Your diagram nicely attends to the later two elements of affordance…but I think overlooks the importance of media/tools possessing certain unique affordances by there very design. What you describe here as the affodances of tools by their very design is on m opinion only the culturally determined activity pattern that you as a designer embed in your tool for enhancing your activity. What i mean in itself the tool does not have the property unless there is nobody using it with a certain pattern. What i mean by emergent is that affordances never belong to the tool nor the person who does something with the tool, but arise every time when you use the tool for realizing some of your objective. The other interesting thing is that the affordances also arise and change if instead of one tool you pick a set of tools to realize some objectives. Or if trying to realise the objectives jointly. So you cannot make the definite list of tool affordances but rather they are emergent depending of what tools will meet what activities. Why I try to relate affordances with the activity system instead of tools is because this way you can give the user a lot of freedom what mediating device they could pick to realise their objectives. Whenever anyone tries to make a list of affordances (eg. 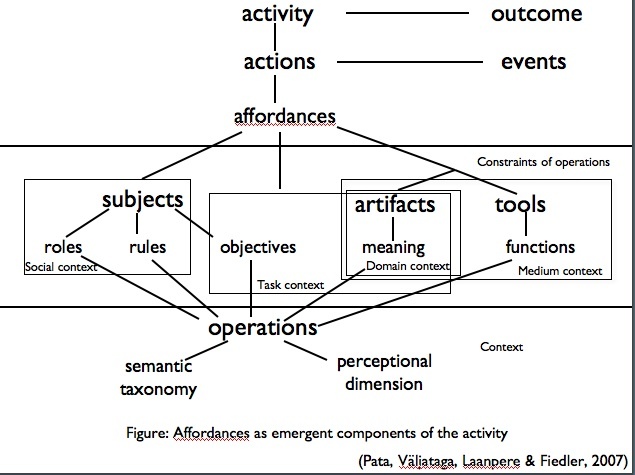 Anderson today)I would suggest the different componets that define affordances should be part of the description. 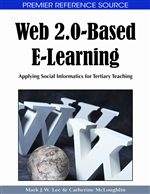 The affordances one wants to attribute to web 2.0 can be seen not only as the affordances of the TOOLS, but rather web. 20 is an activity system or an ENVIRONMENT with its all complexity, so in this sense i could agree that we could attribute affordances as emergent properties to this system. However I would write these affordances as some kind of propositions involving activity, actors, artifacts, meanings objectives etc.and their properties. And i would suggest affordances of an environment are similar like tagclouds and should be defined by users in their activities. Affordance seems to become a fancy-word, same like scaffolding… and the real meaning is lost in the massive use. I understand what you’re saying about affordances emerging from the use of a tool. And I agree. But I think it’s not a complete image. Tools possess traits for which they were intended. A hammer works better for pounding a nail than opening a window (though if the house is on fire, it will work well for opening a window, but under normal circumstances, the hammer works for a nail). You also make an excellent point about trying to attach affordances to the activity system…I fully agree. But I don’t think that’s the sole aspect of affordance. It’s great to tie it to the activity system – as you mention, for the preservation of greatest potential options. We also need to consider the physical (or digital) design of a particular tool. If we take the line of reasoning that a tool’s affordances are only a function of use, and apply it to technology adoption, it would suggest that tool selection is neutral…that it doesn’t matter what we use for any particular task. Tool selection is not neutral. Blogs work well for some situations and types of learning. Video for certain types of instruction, audio for others, etc. …in terms of affordances becoming a “fancy-word” – good point, language in ed-tech gets pretty diluted. I don’t think attempting to describe the affordances of tools as you and I have been here moves it to the level of overuse. Overuse is what we avoid by discussing the particular conditions of a concept – when it’s appropriate, when it’s not, etc. Ok, i try to explain some of it again. What i try to say is not necessarily different. I only want to put it differently, articulate it through the activity so that the affordance was never totally part of something but always in between, emergent (or emergent in historical sence). I mean the same thing than you say with different words, isnt it? I mean it in the sense that eventually the tool possesses (captures into materialised format) some of the anticipated affordances for performing some activities the designer wants to do with it. I tried to find some arguments to support or elaborate the ideas which i try to explain. Wertsch, 1981: For Marx and Engels, labor is the basic form of human activity … New types of instruments are needed to carry out the continually evolving new forms of labor activity. Kuuti (1991): Tools have been created and transformed by people during the development of the activity itself and carry with them a particular culture — historical remnants of that development. Leontjev, 1978: The artifacts that people use are laden with social and cultural values. Once established, these artifacts (technical tools, signs, language, machines, and script activities) persist as structures of mediation. By the way I really appreciate this discussion, I already got one i dea what i didnt think of, when trying to support my ideas…looking the web2.0 not as a tool in Anderson’s keynote. Another type of affordances relates with learners‘ familiarity of perceiving certain aspects of the environment certain ways, which is culture-dependent. I am actually studying a crucial part of Chrétien de Troyes Chevalier de la Charrette in which the hero should jump on the cart in order to keep pursuing the abducted queen, but is inhibited by the social function of the cart itself, being that vehicled used as a mobile pilor in ancient times, as the author is forced to (almost parenthetically) explain. In the novel a conflict between knightly honor and courtly love is triggered by the complex affordance emerging from the cart. As a vehicle triggering and referring to potential motricity, it leads to love, as a cultural artifact devoted to given social purpose, it leads to shame. Action planning is basically described in terms of a conflict referring to potential affordance of an object. So, I am just wondering if some descriptive features can actually qualify as cultural labels able to modify the narrative implications entailed by potential affordances of described objects. That’s the path I’m working on. I will let you know where it leads! It is very interesting case on affordances what you are working at. But yet, culturally some of the affordance component becomes as if emergent part of the vehicle? I mean that someone who made it in this culture somewhat left some of his perception and action (as an affordance) into the real artifact and it starts repeating it in this culture if the action and perception is repeated? Gibson did not have to think so much of man-made things, but if we people do some action and use some mediating devices for it (tools, artifacts, language, narratives..) then these expressed and realized devices might capture part of the affordance as a possibility? I tend to agree with your idea about descriptive features as cultural labels. This is well in line with the semiotic translation ideas that you need pick some connection-points based on your current cultural framework and start interpreting /or performing actions based on these cues, which enable to reinterprete for yourself the whole object (narrative). 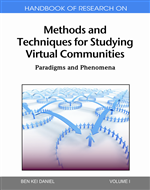 Have you read Nardi’s Activity theory elaborations? I think a lot of what she describes as contexts is what i think is affordances. 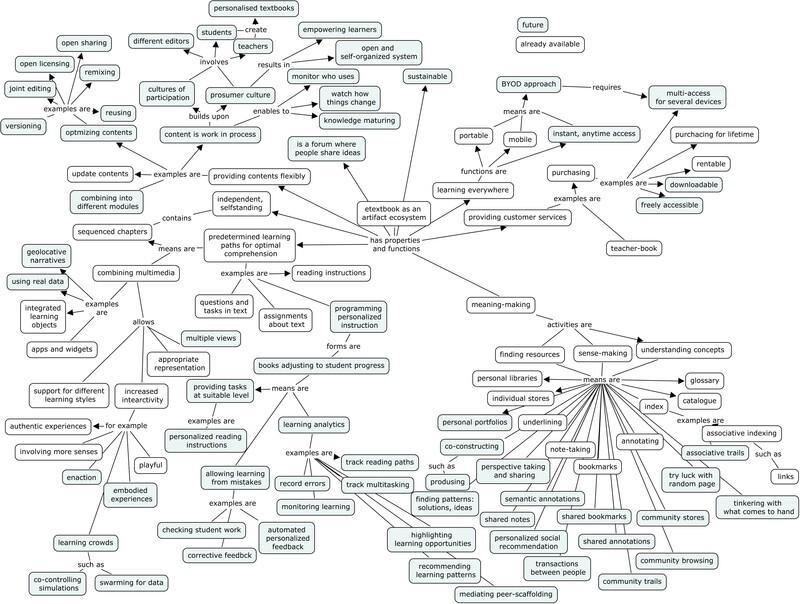 In the end it is of course lots of labels. As far as I can see, the point probably is that a cart is originally designed to be a vehicle, but of course being a vehicle is not a function of the cart: it’s just the result of one of the possible affordances of the object itself. A table is meant to place stuff on it, but if you sit on it you are basically using it as a chair. I started thinking about functional degeneration, as Edelman did in respect of neural networks in Neural Darwinism, but still, the concept of function from my darwinian point of view basically deals with cultural selection applying to potential affordances of objects. So, you can call a function the average way people afford an object, say open-hand grasp for a bottle, precision-pick for a pencil. Of course, if you spot a pencil on the table, very likely the action potential elicited in your brain and your body by means of cortical mirror matching system will trigger idiomotricity in your fingers. Still, you can grab a bottle with knees and a pencil with theet. Not to mention the fact that you can eat the pencil, and many children do, maybe they all at a given moment. That’s way action planning is so important in my opinion, because by planning you basically pick the option “good enough” to perform the task you have and/or you “learn” about “things” you can do or not with given objects. The case of the cart is of a more complex kind, since is like somebody put on it a panel meaning “do not dare to board if you are an honorable knight”. As if you put on a pen a tag saying: “do not touch if you are a child”. In some way, the fact that the cart is typically used as a pilori, to put the blame on criminals while strolling them around town, can be related to the fact that the cart is a vehicle. Still, if you are clueless about the cultural code, the criminal on the cart is just a guy being strolled around the town. So the entire event has to be culturally tagged to make sense the way it does if you are an insider. What basically happens is that Chrétien de Troyes ‘loads’ the cart with sort of a mythology pretty much based on hystorical facts, labeling it so to increase the extent of drama he can exert out of the narrative event he is describing. I would see the first kind of affordances related with the focusing on objects what one potentially wants to use for goal-directed action. I think this must be either context-related, ‘culture’ related or goal-related. However, some of the experiments indicate that pure context was not activating mirror-neurons of humans. Gallese (2000) has assumed: It is more plausible to postulate that the objects whose observation triggers the neurons’ response are analyzed in relational terms. Object observation, even within a behavioural context not specifically requiring an active interaction on the side of the observer, determines the activation of the motor program that would be required were the observer actively interacting with the object. To observe objects is therefore equivalent to automatically evoking the most suitable motor program required to interact with them. Looking at objects means to unconsciously ‘simulate’ a potential action. In other words, the object-representation is transiently integrated with the action-simulation (the ongoing simulation of the potential action). If this interpretation is correct, objects are not merely identified and recognized by virtue of their physical ‘appearance’, but in relation to the effects of the interaction with an agent. In such a context, the object acquires a meaningful value by means of its dynamic relation with the agent of this relation. This dynamic relation is multiple, as multiple are the ways in which we can interact with the world by acting within it. The object-representation ceases to exist by itself. The object phenomenally exists to the extent it represents the target of an action. What I am proposing here is that to be phenomenally conscious of the meaning of a given object depends also on the unconscious simulation of actions directed to that object. What then really constitutes the meaning of an observed and internally represented object? A purely pictorial description of its shape, size and colour features, or rather also its intentional value? The pictorial description only gains its full, interesting meaning by being transiently bound to an individual first-person perspective on the level of conscious experience, by becoming the object-component of a much bigger, comprehensive picture..
Second kind of affordances i would relate with the dynamic interactions in the activity systems consisting of actors with some goals, their interpersonal interaction, rule-sets, division of labour, choice of mediating devices for activities, cultural context etc. These affordances emerge due to awareness of the others in the surroundings, of the imitation of internal state of the others’ minds. I could not find much research of the canonical neurons on humans, but perhaps there is some evidence i guess that this system is also common over primates. If the mirroring is the basis of perceivig affordances, it must be discussed how exactly in mediated environments this mirroring would work. Is there research about neural mirroring on the basis of technological activity systems like we have in web? Anatole pointed out some interesting studies about the remapping the objects in extrapersonal space into peripersonal space when they are used in action. From the perspective of activity theory these neurological findings are quite meaningful, suggesting maybe that affordances are evoked as part of embodied simulation in which the objects and artifacts evoke mirroring. There is of course no neurological evidence to these ideas so far, embodied simulating has been demonstrated in relation of observing other people using some objects or tools (see Gallese) and mapping the small item preciseness for grasping (see Iaccoboni).